We all daydream of finding a hidden treasure, a diamond in the rough, maybe at a garage sale or in grandma's attic. It's what the premise of American Pickers is built around—finding that hot ticket item that's worth dubious amounts of money. This exact scenario played out for a North Carolina woman not long ago. As the story goes, she waltzed into her local thrift store, spotted one of the rarest video games ever, and found out it was worth thousands of dollars. According to Kotaku, the unnamed woman picked up the game for $7.99 and got it appraised by Wilder Hamm at Save Point Video Games in Charlotte, N.C. His verdict? $15,000, or thereabouts. That's quite an incredible return for something just wasting away at a local Goodwill. 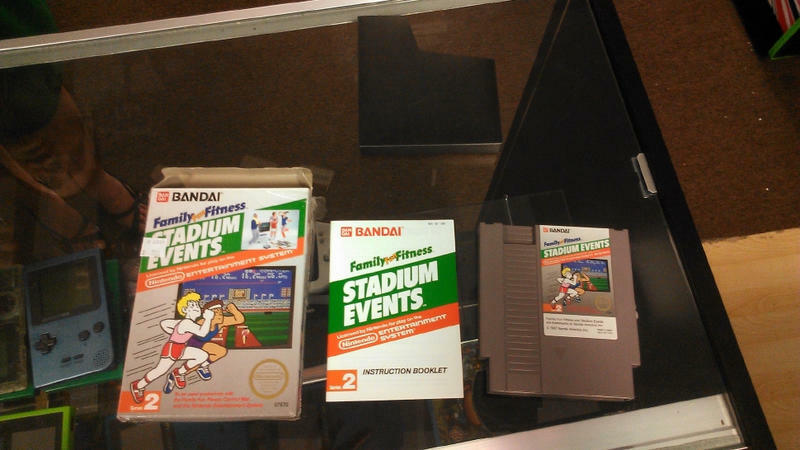 The game, Stadium Events for the original NES, was only released as a test in a very limited U.S. market back in 1987. Nintendo soon bought the rights to the "Family Fun Fitness" mat (or Power Pad) in North America, which was then used for World Class Track Meet in late 1988. The box appraised by Hamm was apparently in great shape, as was the instruction booklet and game cartridge. With things like this, condition is always a factor. Because the cartridge itself is so pristine, Hamm says the woman can get $2,800 alone just from the game. If the whole package was sealed? One eBay auction in 2010 brought in $41,300. The game hasn't been sold yet, but the woman said she expects to put it on eBay within the next month or so. Being one of the rarest items in the video game world, it'll likely attract huge sums of money, especially given its condition.